Green ungrained cloth. Gold, red, yellow, and green stamping on front. 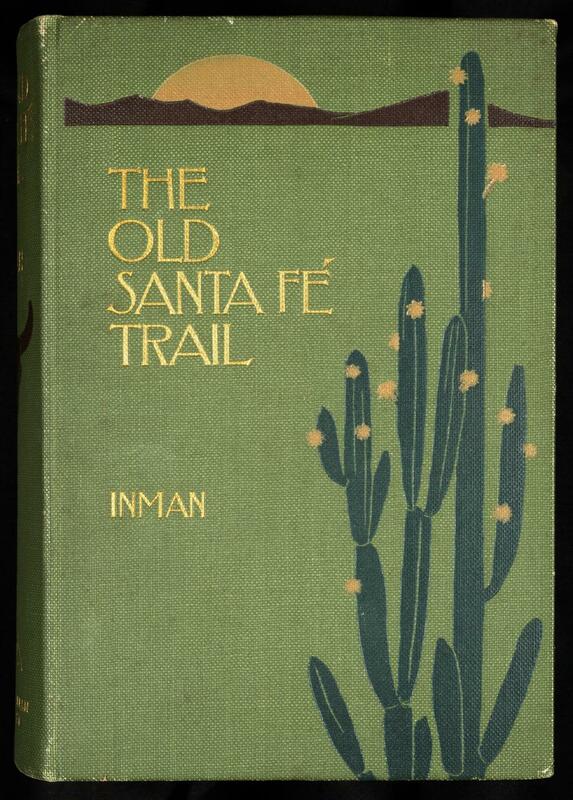 Gold and red stamping on spine. No decoration on back. Cream endpapers. Top gilt. 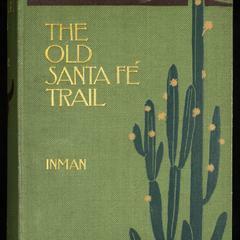 Book topics: Santa Fe National Historic Trail; New Mexico--History; Frontier and pioneer life--West (U.S.). From Minsky: Yellow, maroon, and dark green cactus in abstract landscape with gold title on green cloth. Designed by Decorative Designers? Unsigned. New York ; London : Macmillan Co.